The single greatest passion in my life is to motivate and inspire others to live extraordinary lives — to assist them in becoming self aware, feeling fully alive and seeing and experiencing the joy in every moment. Life strategist, business consultant, personal motivator, accountability partner...your Life Coach. It doesn’t take long after you meet Stacey Vicari to see why she created Ideal Life, her life coaching practice, 18 years ago. In a world where people are more stressed and maxed out than ever, it’s refreshing to meet someone who is modeling an authentic, empowered, balanced life. Stacey started her personal journey at the age of 13 when she realized she needed to make personal changes to break the patterns of her dysfunctional childhood. Three decades later, she’s a testimony to what can happen when a person shows up for their life, doing the work it takes to become a joyful, happy person. Stacey graduated from Indiana University’s Kelley School of Business and went on to spearhead a local chapter of EarthSave International, a non-profit dedicated to educating people on making more conscious food choices. Her success led to becoming president of that organization. She now dedicates her professional life to motivating others to live extraordinary lives. Her enthusiasm, expansive outlook and unique way of looking at everyday challenges have attracted clients from all over the country looking to create a more positive life for themselves… good health, strong relationships, a sense of peace and contentment and the space to have fun and enjoy life. Her financially successful three-day workweek and efficient business model afford her a balanced life, which is why so many people hire her to help them achieve the same success in their own careers. In addition to helping hundreds of clients on an individual level, both personally and professionally, Stacey is a popular speaker, energizing groups and empowering them to take responsibility for their lives. 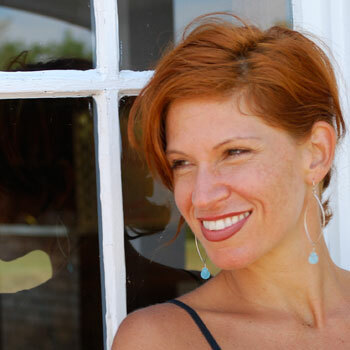 Prior to moving to Austin, Stacey’s career in Louisville, KY has been featured extensively in print, radio and television. She spent eight years as a regular guest on the popular Terry Meiners Show, appeared monthly on WHAS-TV and was also a regular guest on NPR. She’s been featured in Vegetarian Times, Business First, The Courier-Journal, The Voice Tribune, Today’s Woman, Louisville Magazine, Colorado Health & Wellness Magazine and Texas CEO Magazine. These are Stacey’s most recent interviews on Terry Meiners and NPR in Louisville, January 2015. For more information or to schedule an interview, contact Stacey at 512-366-5512 or email her at Stacey@myideallife.com.